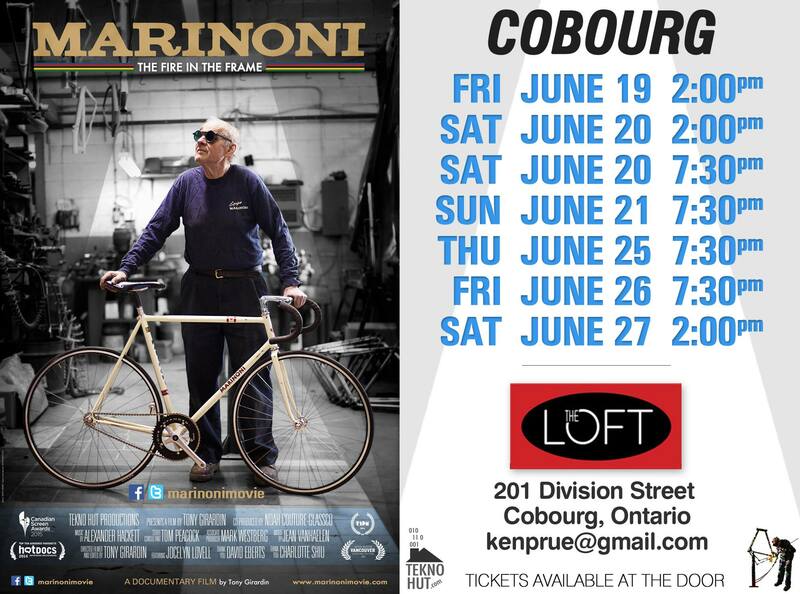 As part of the festivities for Cobourg’s Active Transportation Week, The Loft at Harden & Huyse Cafe will be screening “Marinoni: The Fire In The Frame” at select times between June 19 & 27. See poster for exact dates and times. This entry was posted in Bicycle Culture, News 2015 and tagged Cobourg, cycling, documentary, environment, event, Northumberland, sustainability. Bookmark the permalink.